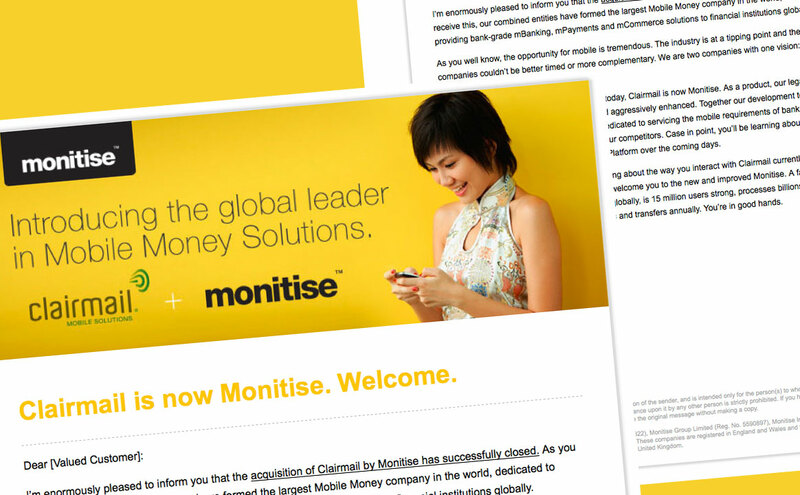 Monitise’s goal was a clean, professional email newsletter template. 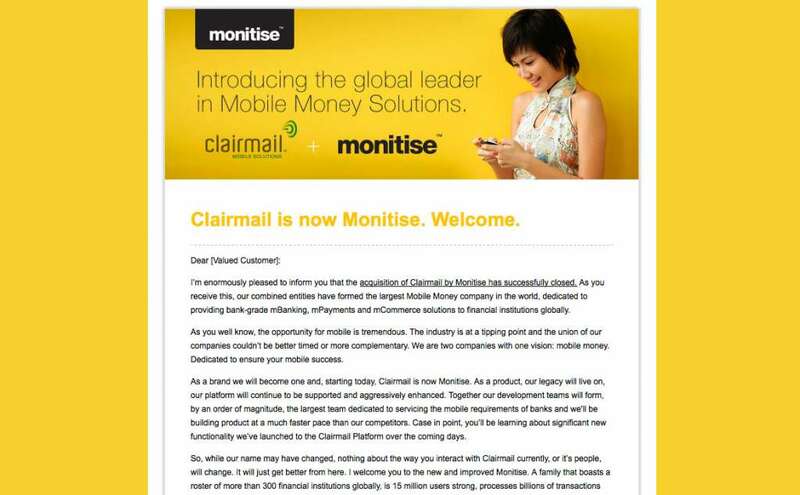 The solution was a custom email design and code that advertised a new Monitise Mobile Money Solutions Enterprise Platform. The goal was to reach clients (new and existing), build new relationships, and work in tandem to drive sales.